There is a lot of debate on whether ADHD medication should be taken daily, with breaks, only for school etc. I can't make that choice for every family but I can share my experence and my sons with all of you and in my experience I believe ADHD medication should be taken consistently and daily without breaks. When my son was first diagnosed we gave him his medication twice a week because at the time he only had school twice a week. The medication was not effective and his symptoms did not lessen. We went to the doctor frustrated only to realize it takes time for the medication to make a difference. From then on we used medication daily for great results. I also tried going without medication for him over the summer but I noticed the stress in him, the symptoms showing up and making him not as happy as he is with medication. He struggles. Many people don't realize ADHD medication affects much more than just schooling. How does ADHD medication help? It helps us be more clear headed, more in control of our emotions, less impulsive, more creative, we have the focus to do things we want to that we may struggle with. All these ideas were confirmed when I found out I have ADHD and began medication. After finding the right dose it took me about a week to feel like the medication was seamless and efficient. I was much more clear headed. No I did not get my house clean and a bunch of energy to accomplish everything I needed to do but there was a sense of calm around me and an ability to see large tasks and say "We can start here and take it one step at a time" instead of being constantly overwhelmed by every task placed before me. I was running out of medication one month and so I saved my few precious last few pills for the days I felt I would really need to focus until I had the funds to refill my prescription. Those few pills were not effective. 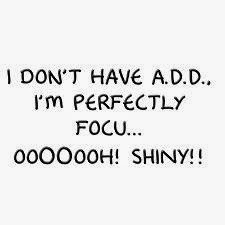 I knew then consistency was key in helping my ADHD symptoms. This may not be the same for everyone but I will be honest when I say I believe it is the same for most adults and children. I am happier with consistent medication and so is my son. Thank you for sharing. I have found my daughter does better with taking the meds everyday without breaks. My son also has ADHD but is very different and is okay with breaks now and then. My daughter gets headaches and her behavior and focus suffer if she has breaks. You don't hear a lot on this and its nice to know I am doing the right thing for her.